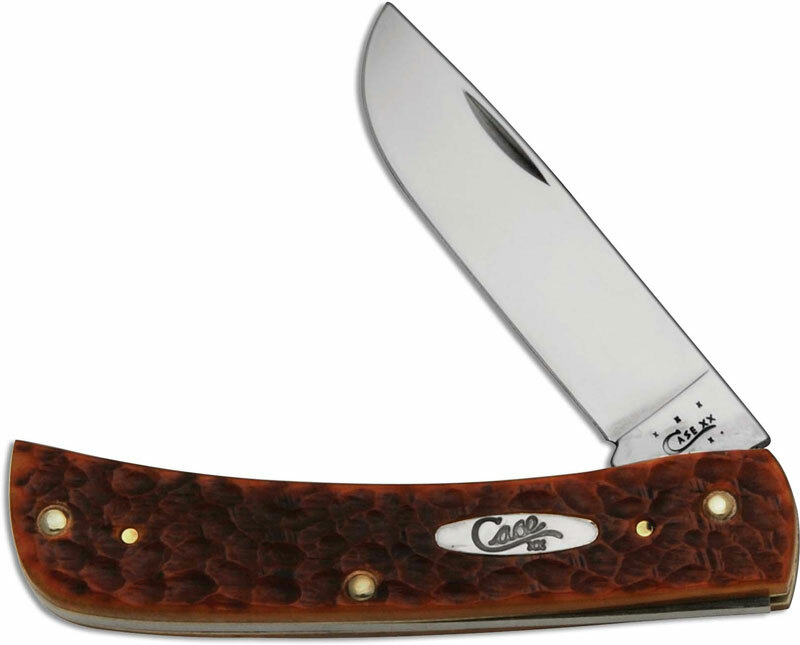 The illustrated Case Knife is the Chestnut Bone CV (6137CV) Case Sod Buster Jr Knife that features a skinner blade made of chrome vanadium carbon steel with a nail nick for opening. The Standard Jigged Chestnut Bone handle of this Case Knife, 3 5/8" closed, has brass liners and a nickel silver Case shield. The Chestnut Bone CV Case Sod Buster Jr Knife weighs 2.2 ounces. Made in the USA.